This virtual cockpit has virtually everything at your fingertips, including a 12.3-inch instrument display, an infotainment viewing center, available MMI Navigation Plus and available Google Earth functions. In the world of sports sedans, the Audi S4 garners quite a few mentions when discussing popular models. The vehicle captivates sports sedan consumers thanks to its performance and handling. 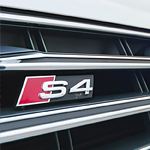 Like other sporty vehicles, the looks of the Audi S4 also contributes to interest. Certain design features allow the car to stand out. Why Does Audi Use a Multi-Link Suspension System on Every Wheel in Their A4 Allroad Quattro? The suspension system in any vehicle is the main component that provides a comfortable ride. Most early suspension systems were dependent, meaning that the opposing wheels on the front or rear axle rode at the angle allowed by the other wheel. Such stiff suspensions did not allow wheels to adapt to bumps or dips in roads. We here at Audi Salt Lake City understand the importance of finding a vehicle that matches your unique style. When looking for a luxury vehicle, you want to make sure that it not only looks good but drives good as well. 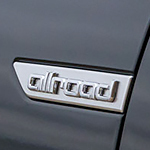 Introducing the 2019 Audi Q7, this popular midsize luxury vehicle comes standard with the quattro all-wheel drive system. When you get inside the Audi Q7, you'll find seating for up to seven passengers. When you need more cargo space, you can fold the rear seating down for an impressive 71.6 cubic feet of cargo space. 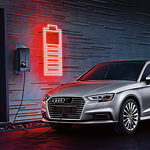 For starters, the Audi A3 Sportback E-Tron is a plug-in hybrid vehicle and a compact car. This vehicle accepts both gas and electricity, and it gets almost 30 miles to the gallon on each. One of the most amazing things about this car is the cockpit. The driver has a screen on the dashboard, which is a virtual reality of the road. 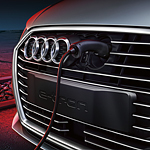 The road shows the Audi car, other vehicles, and places where the driver can stop for fuel. This is almost a second pair of eyes for the driver. 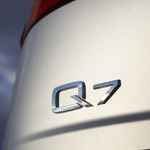 When you drive the Audi Q7, you can have peace of mind knowing that your car will be watching out for you whether you're on the road in Salt Lake City or elsewhere. At Audi Salt Lake City, we can go over these safety features with you, which include many different types of driver assistance technology. Here at Audi Salt Lake City, we believe in a combination of luxury and performance for every occasion. The all new Audi A3 encompasses these values in a stylish and economical package. While there are many different small luxury performance vehicles on the market, the Audi A3 outperforms the rest in a number of key metrics. 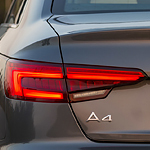 We here at Audi Salt Lake City are excited to show off the all-new Audi A4. This popular compact luxury car is beautifully designed inside and out. The exterior design has eye-catching features that are sure to turn heads wherever you go. For drivers that buy a compact luxury car, design is an important consideration. After all, just because your vehicle is smaller doesn't mean that it can't be distinctive. Outstanding design is a prime reason that our customers at Audi Salt Lake City love the Audi A3 sedan. Both inside and outside, the Audi A3 is suited to thrill.